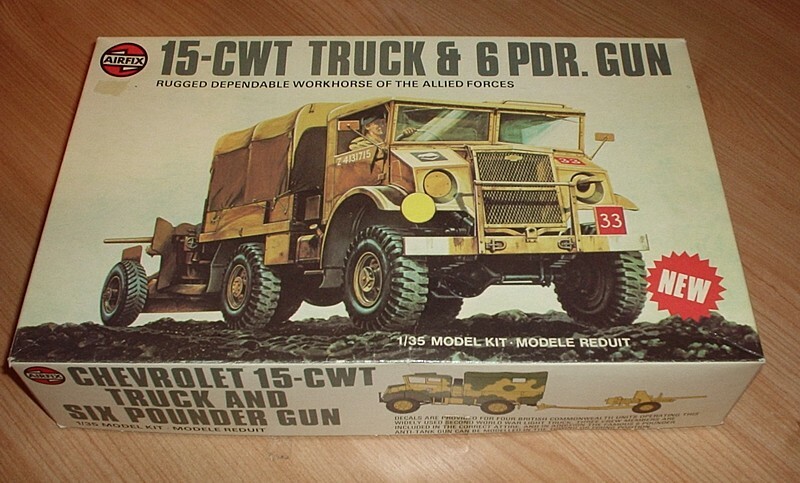 One of the workhorses of the British and Commonwealth armies was the famous Canadian 15-cwt truck. It was to be found on almost every war front used in a wide variety of roles and formed one of what was known generally as the CMP (Canadian Military Pattern) range of vehicles. The kit, outstandingly detailed, is constructed from the chassis up and has all the distinctive characteristics of the real vehicle when completed. In addition a 6-pdr anti-tank gun is included and can be towed behind the truck. Figures and four sets of optional markings are also provided.